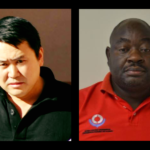 CHINESE businessman, Hou Xuecheng, also known as Jose Hou, was arrested by the Anti-Corruption Commission (ACC) mere days before a high level delegation of the Chinese Communist Party is scheduled to officially visit the President of Namibia. 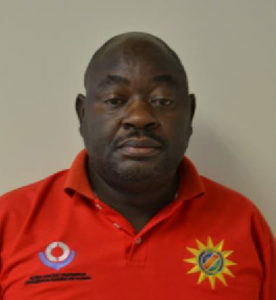 According to the ACC, Hou, the owner of New Force Logistics, was arrested along with a chief customs official from Windhoek, the 49-year-old Leo Paulus, on charges of corruption following controversial rose wood exports through the port of Walvis Bay. Hou’s trucks continued to transport loads of rose wood even after a moratorium on export and harvesting permits came into effect at the end of March. His arrest also comes a few days after spokesperson of China’s embassy in Namibia denied that timber was exported to China in great numbers. In a statement, the ACC said the arrest stems from Paulus soliciting two bribes – one for N$4 000 and another for N$5 000 – from another Chinese national who imports goods to Namibia. It is alleged that Paulus was responsible for the validation of the value of the goods that the unnamed Chinese national was importing and then indicated that he could lower the value afforded to the goods on which the importer had to pay import duties. The importer became agitated because of the unreasonably high value assigned to the goods by Paulus and suspecting that the official was running a scam in order to leverage a bribe from him and decided to approach the ACC, which then conducted a sting operation. 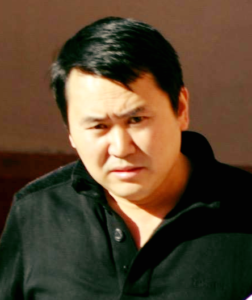 Hou’s role in the matter is that he acted as the clearing agent and transporter of the goods. It is further alleged that Hou induced his compatriot, the whistle blower, to pay the requested bribe and also signed the ‘Customs Agreement on Determined Value’ form as if he was the importer and owner of the consignment of goods. Hou and Paulus were arrested and charged with knowingly using a document that contains a falsification to mislead another and inducing another to commit a corrupt practice. Paulus face an additional charge of corruptly using his office or position to obtain gratification. The accused persons appeared in the Windhoek Magistrate’s Court on Monday, where both suspects were granted bail of N$30 000 before the matter was postponed to 14 June 2019. In its statement, the ACC requested other importers of goods who may have had similar encounters with customs officials to approach its offices with information.